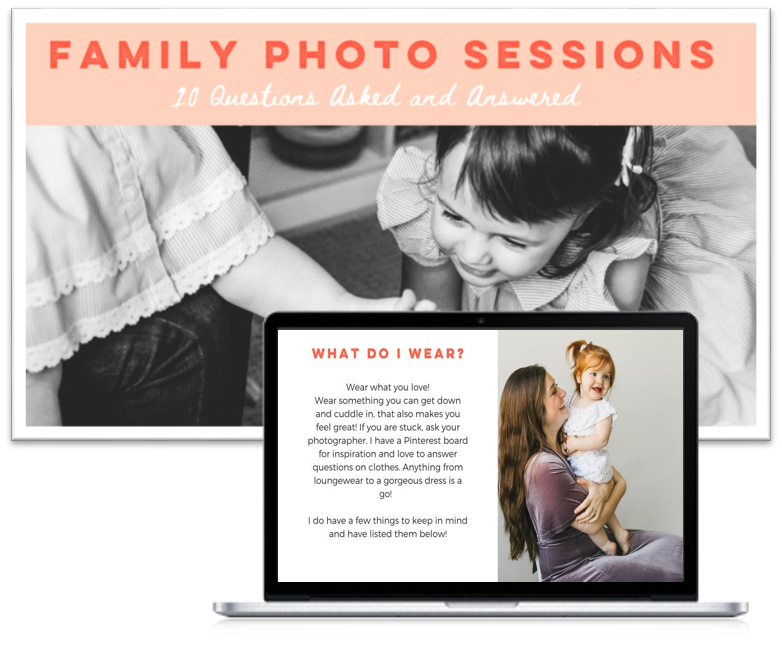 Get My best tips for Family Photo Sessions! A description of the benefit of having this guide… Donec pellentesque viverra bibendum. Vestibulum laoreet, elit a mattis malesuada, tellus lacus tincidunt felis, vel dictum lectus augue at turpis. Fusce a lorem felis. Duis imperdiet pretium efficitur. Aliquam laoreet cursus ipsum, lacinia faucibus risus. Vestibulum ut ultrices turpis, ac semper nibh. Aenean venenatis eros ligula, a vehicula felis sollicitudin sit amet. Nam volutpat diam sit amet cursus scelerisque. Aliquam mollis auctor ultrices. Morbi efficitur vitae purus nec dapibus. Nulla ipsum libero, euismod ac ullamcorper in, vulputate et odio. This describes some feature or aspect of the guide that is awesome. Maybe add a small pic too. Who knows what will work? Let's just try some stuff, because we've got nothing to lose! I think I can, I think I can! I will always respect your privacy! I will never share, sell, rent or otherwise disclose your personal information (name, postal address, e-mail address) without your advance permission, unless otherwise ordered by a court of law. By submitting your information above, you are agreeing to receiving periodic updates from Chelsea Macor Photography, but can unsubscribe at any time.